Nothing quite beats the heat of summer than a free concert or two, and Mad Decent has you covered for five. 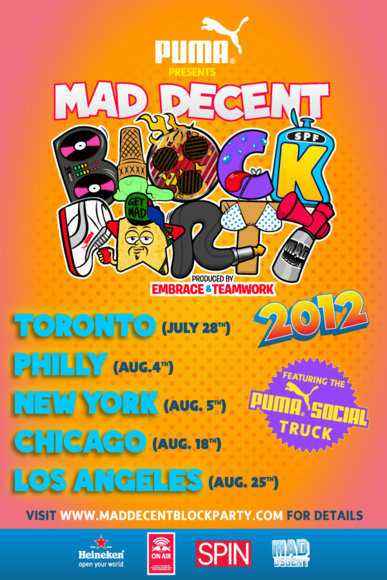 It’s that time of year again and the Mad Decent Block Party 2012 is making its rounds in five cities from late July straight through August. 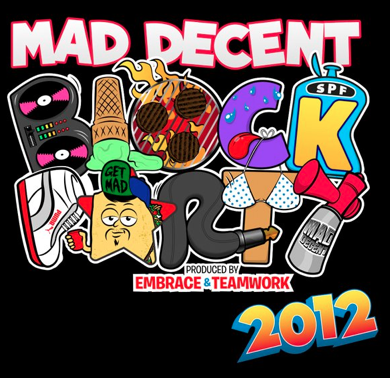 Each Block Party features a full day of performances by various artists on the Mad Decent roster (which features such big names as Dillon Francis, Major Lazer, Crookers and Zeds Dead) as well as food and activities for those of all ages. It’s pretty much a guaranteed good day, and best of all it’s absolutely free. It’s great to see Mad Decent expanding into Canada this year; it’s a great move on their part to tap into all the fans just across the border.